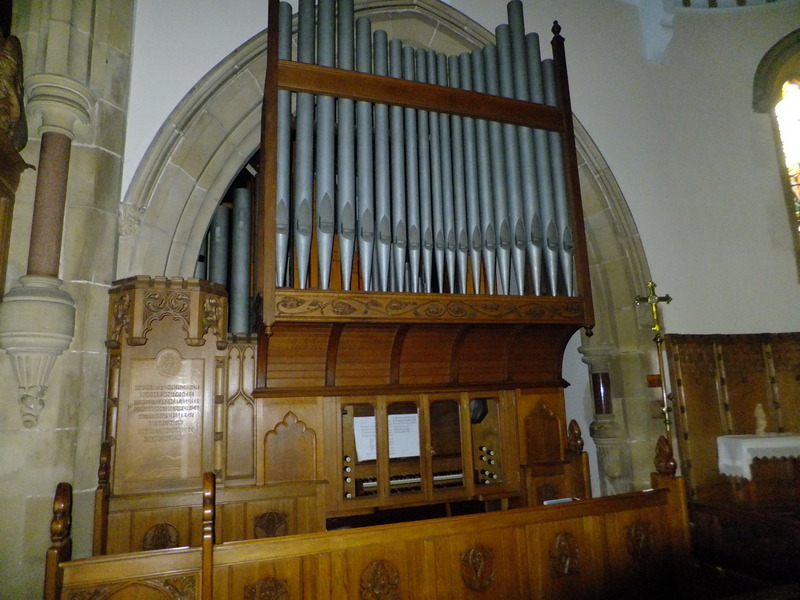 The organ was built in 1903/04 by Mr John Miller, organ builder, Dundee, and cost £266/0/11, with an additional £5 for “special pipes” It was different from the norm, in that it was not blown manually by the efforts of small boys; it was water powered. The Greek inventor Ctesibius developed the water organ or hydraulus, in the 3rd century. The wide mouth of a funnel like extension from the wind chest was set in the top of the water. As air pressure in the wind chest fell, water rose in the funnel and compressed the air, thus keeping the air pressure constant. However, a newspaper cutting from one of the choirboys in the 1920s shows that the boys could still have fun with it….. In November 1904 an ad was placed in the newspaper for an organist and choirmaster, at an annual salary of £15. To choose between the applicants, an organ playing competition was held in the parish church, and Miss Lowson was unanimously elected. In November 1920, after much procrastination, her salary was increased to £30 a year! Miss Lowson died in office in 1933, and the post of organist went to Mr Ernest W Brady, aged just 15. He held the post till the outbreak of war. His starting salary was £20pa but was increased to £30pa in 1934. During the war, Ernest was ordained for the ministry and eventually became Dean of Edinburgh Diocese. The need for further overhaul was mentioned in 1937, but nothing was done for 10 years, presumably because of the war. Mrs Macintyre, the Rector’s wife, acted as organist and choirmaster throughout the war. Plans for “completion of the organ” by the addition of two new stops (the Violin and Vioincello), as well as the long overdue overhaul, were made in 1947, and the work carried out by Fredrick Rothwell & Sons of Harrow in late 1947/early 1948. The cost was £293+ purchase tax. By March 1949 the “water engine” had become unreliable so the advice of Rothwells was accepted and it was replaced with an electric blower. In 1966 the organ again required refurbishment, this time the work was done by James Mackenzie of Glasgow at a cost of £335. By 1997, it became obvious that the organ required major refurbishment, this time costing thousands. A vigorous programme of fundraising followed, and by 1999 we had raised almost all the money required. The work was done by A F Edmonstone of Forteviot, and took over a week to complete. There were organ pipes lying everywhere – it looked scary!! However, it was all put back together again, and we held two successful organ recitals to celebrate. Our organ is now maintained regularly and is kept in tip top condition.